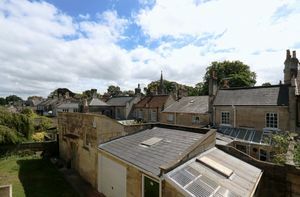 A unique Grade II listed unfurnished upper floor apartment part of the earliest developments within Combe Down Village, dating from the mid 18th century. Combe Down is approximately 1.5 miles from the city with good bus links into both the City and University. 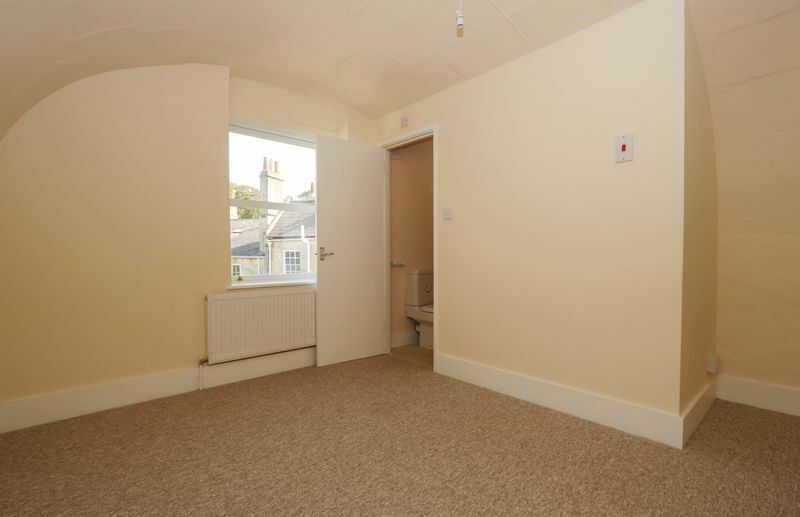 Spacious rooms (one with en-suite), white goods included, available now. 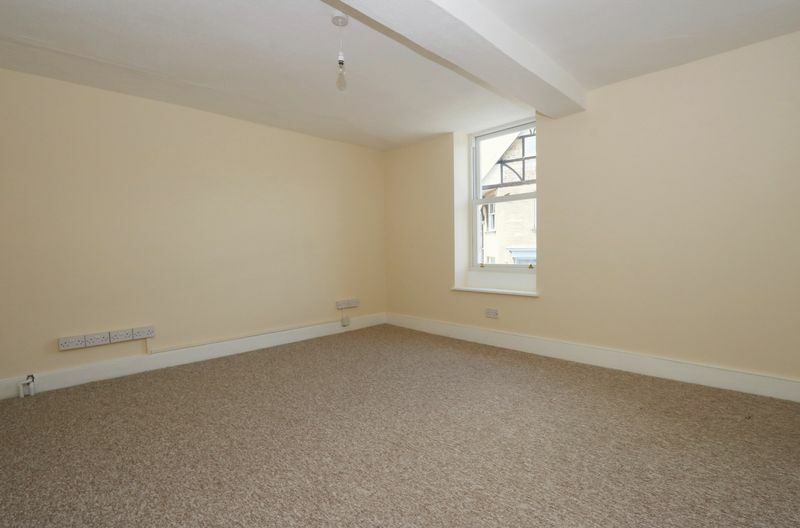 A unique Grade II listed upper floor apartment part of the earliest developments within Combe Down Village, dating from the mid 18th century. Combe Down is approximately 1.5 miles from the city with good bus links into both the City and University. 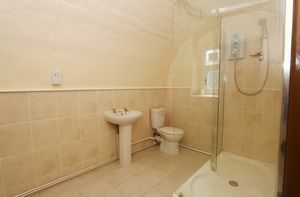 Spacious rooms (one with en-suite), recently refurbished throughout with brand new white goods included. Available Now. 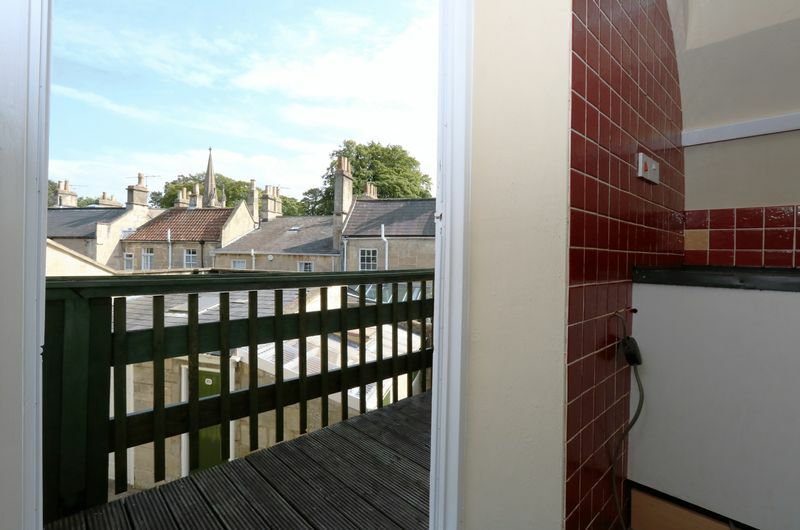 Originally, this property started life as the Carriage Inn, attaining its name from the carriages (waggons) used to transport stone on the wooden tracks from the Combe Down Mines to the River Avon Navigation point. This spacious 3 bed apartment has recently been refurbished and would ideally suit a professional couple/sharers or mature students. Upon entering the property through a ground level front door there is an entrance hallway and carpeted stairs to the upper floor. Once upstairs you will immediately notice how spacious and adaptable the rooms are. 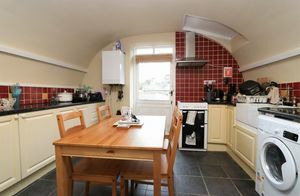 The kitchen has an original vault ceiling and stunning views through the back door over De Montalt Place ( the first cottages built in Combe Down) and the spire of the Holy Trinity church. 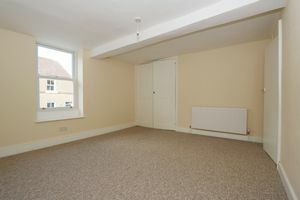 Plenty of storage is afforded through the base units and all appliances will be brand new and included with the property. The lounge area provides a walk in cupboard lending itself to a variety of uses and a sash window looking out over the Avenue. 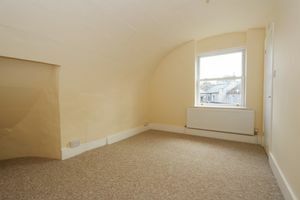 Bedroom one is a good double size, and also with the original vault ceiling and benefits from a modern style en-suite. A sash window affords this bedroom the same views as the kitchen. 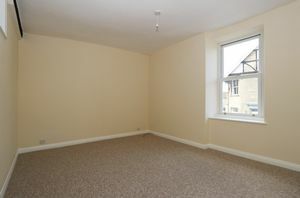 In Bedroom two you have another double sized room, with a sash window looking out onto the front aspect. 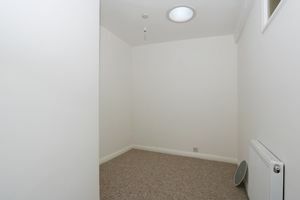 The third single bedroom provides light through a recently fitted skylight, complete with its own shutter. 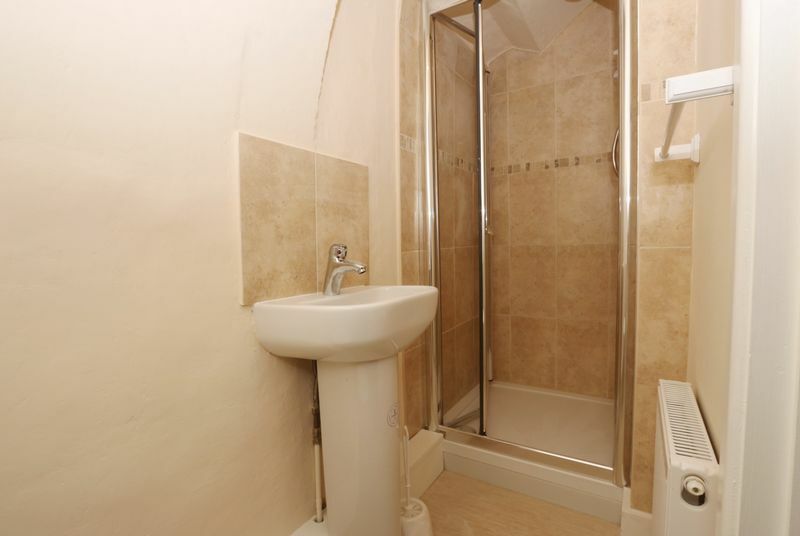 The bathroom offers a large walk in shower, chrome heated towel and plenty of additional storage space. 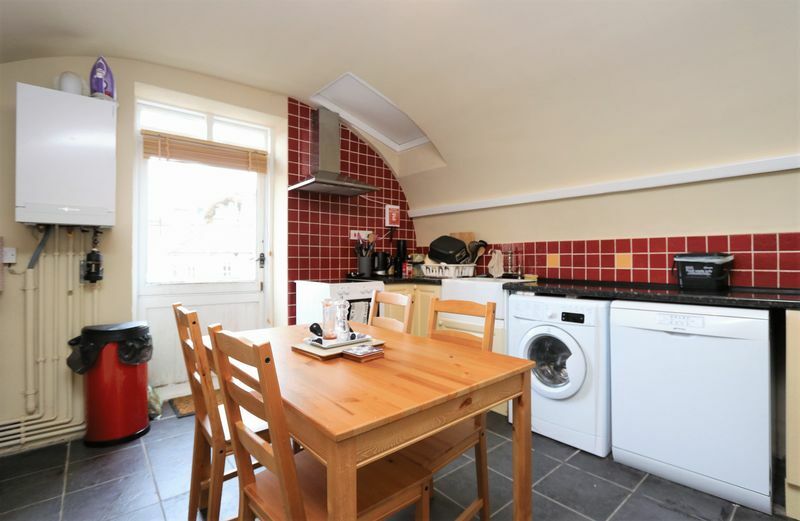 Small families, professional sharers and postgraduate students all considered. 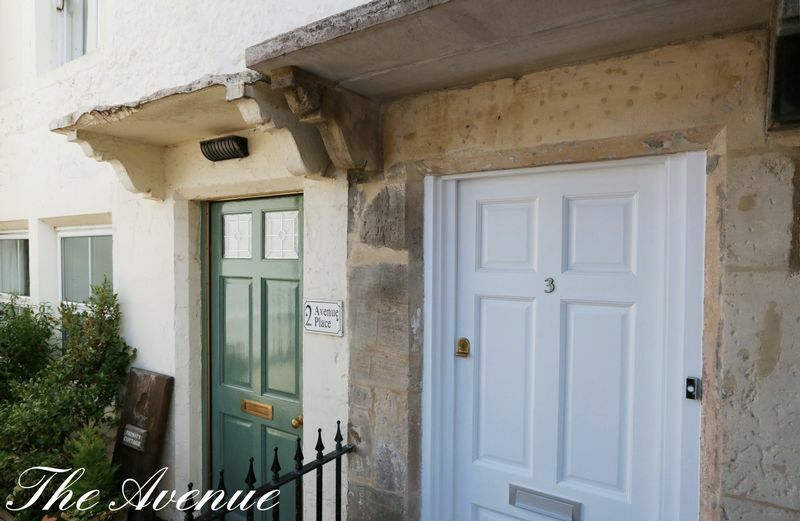 The Carriage Inn situated in Avenue Place is set amongst some of the first cottages built as the 'town’ of Combe Down back in the 18th century. Avenue Place buildings are thought to have been designed and built by Richard Jones who was the Clerk in-charge of Ralph Allen`s Stone Business. 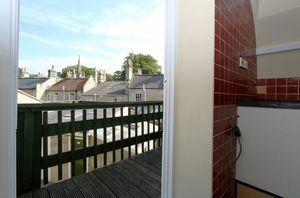 Situated in a road that contains a variety of grade II listed dwellings, which are steeped in and contribute to the history of the village. Over the years the Avenue has developed into a mixture of shops and businesses. 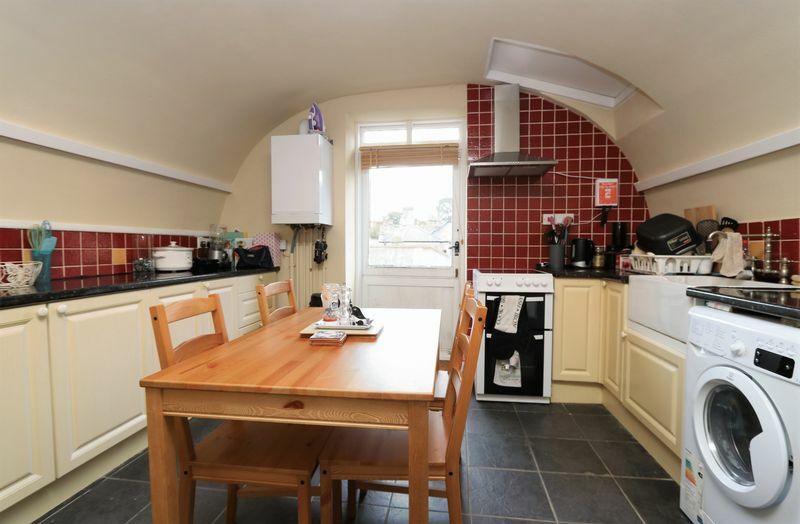 This particular property is well placed for all amenities including local shops and award winning delicatessen, doctors, dentists and pharmacies. The local bus service provides regular services into the City and to the university. 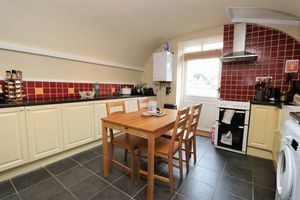 For the walkers amongst you the city is a little under 2 miles away and you are also afforded a plethora of countryside walks into the Cotswolds 'area of outstanding natural beauty' minutes from the village itself. White wooden painted door, stone flat hood on shaped stone brackets. 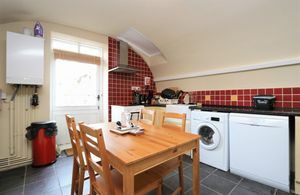 Painted vault ceiling, loft hatch, boiler, burgundy and cream ceramic wall tiles, black gloss worktops, cream base units,white stable style part glazed door opening onto balcony and steps to Ground floor, oven point, four double plug sockets, white ceramic farmhouse sink with mixer tap, slate flooring. White sash window, pendant light, large walk in cupboard with light, shelves and loft hatch. Wall mounted radiator. 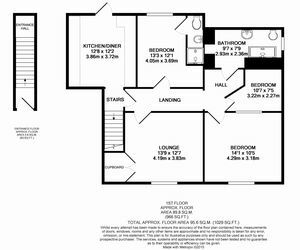 Painted vault ceiling, white sash window, pendant light, large and small alcoves, wall mounted radiator, door and entrance to the en-suite, beige carpet. painted vault ceiling, walk in Creda shower with glass door, beige ceramic splash back tiles, white basin, white wc, wall mounted radiator. Pendant light, white sash window, wall mounted radiator and cream carpet, TV Ariel cable. 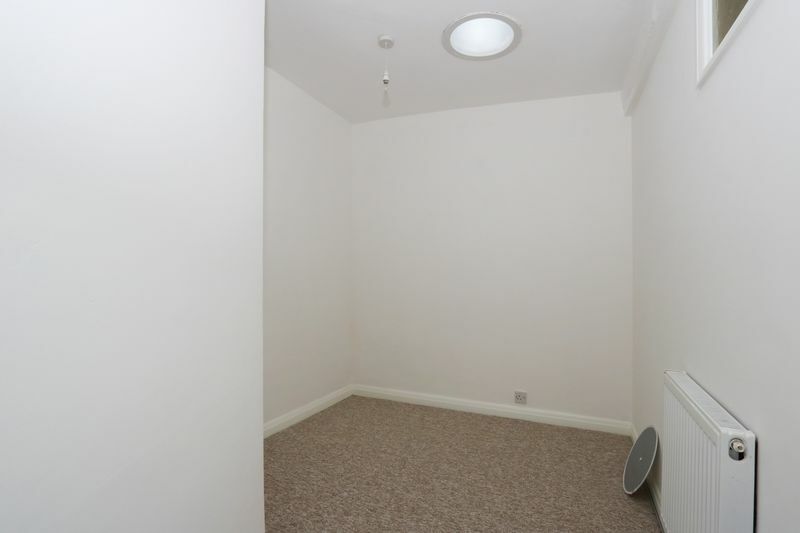 Pendant light, round small skylight, wall mounted radiator, beige carpet. 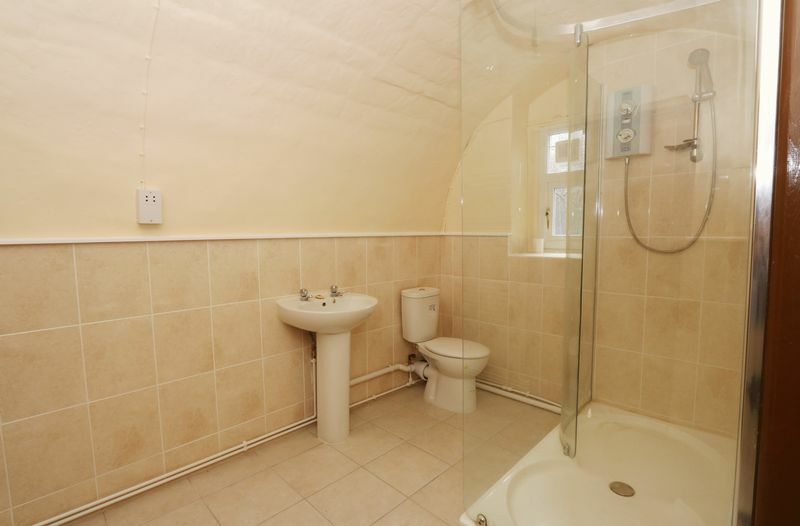 Painted vault ceiling, small glazed window, extractor fan, beige stone wall tiles, double walk in Creda shower, white basin, white wc, built in storage cupboard, shavers point, beige ceramic floor tiles. 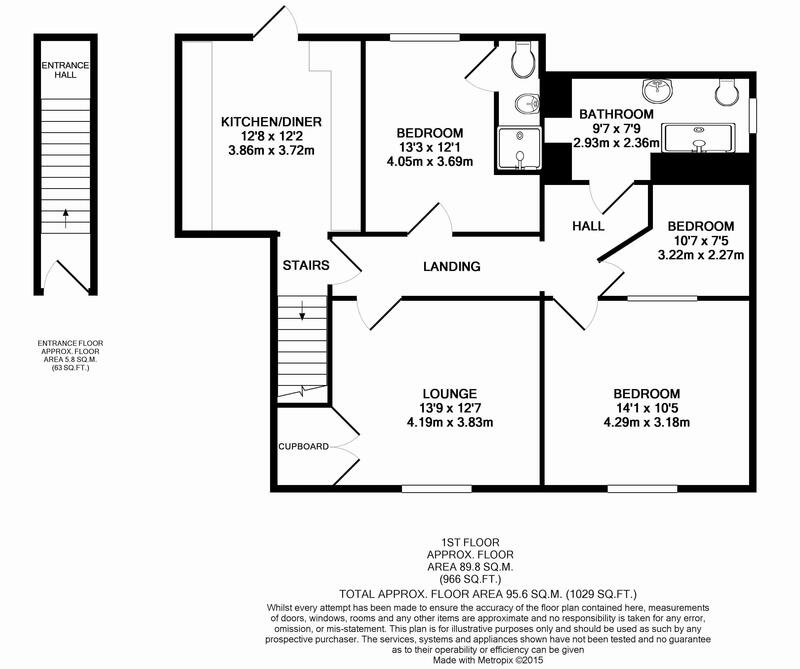 £250 set up and Application fee for the first applicant and £50 Additional Tenant fee. £50 for Guarantor application and referencing, One month advanced rental payment of £1150 and a deposit of £1592 (equivalent of 6 weeks rent) will also be required prior to a tenancy start date.